It took all day to get out of Turkey. I walked away from the airport where Walter was catching his flight back west, I was thumbing it in the same direction, hoping to stop in Czech for starters. A car stopped right away as I got away from the airport, he said nothing and pushed the seat back. It was a short quiet ride, just up towards a metro station. Next a four wheeler gave me a ride, I sat elevated behind the driver as we buzzed along a short distance. Then another short ride, then a truck, another truck and one more truck after that. From the a German teacher picked me up. He was set on helping me as much as possible, taking me to a bus station where he not only got me a ticket to the town by the Turkish border, but also filled me full of food while we waited, along with some for the road. I got oriented in the border town, then got a ride from some guys a bit through the city, and at last one more ride from a guy who took me right up to the border before doing a u-turn. I walked up to the border, noticing some other hitchhikers trying to go to Portugal. I got stamped out of Turkey, then waited with a big line of people before getting stamped into Bulgaria. By this time sunset had passed, so I waked a good while and finally found a place to sleep among the grape vines. The sound of a tractor woke me in the morning and I got moving. Three guys going to an aerodynamic university in Sofia gave a me a ride and got me some McDonalds on the way. We cruised for a while until they had to turn towards Belgrade. I walked a great amount until getting a short ride from a guitar player, then another guy to the next turn off. Then the incredible ride came, a guy heading all the was to Vienna. I was incredibly relieved and happy, we began cruising along, his son in the car as well. He had a business in Turkey and had just been there taking care of some things, the long drive was a familiar one for him. 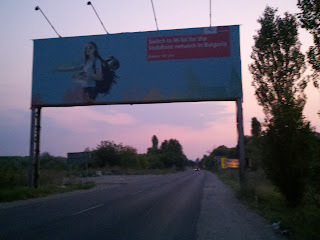 We got held up at the Serbian border a bit because his sons passport had gotten stolen, he instead had some sort of temporary passport which caused some confusion. We got through and kept on cooking while he told me, laughing, how much he hated Serbia. Getting out of the country in particular was a joke, he said, and this was proven when we reached the Hungary border and waited three hours to get through. Once through the border he offered me the choice of dropping me off in Budapest or continuing on to Vienna with him and staying for the night. Czech had been my next thought, but I could do for some sleep and I was sure seeing Vienna would be pretty worth it. We didn’t get in until sunrise, he showed me a bed in a room upstairs and I quickly passed out. In the morning I posted on the Vienna group on Couch Surfing hoping someone would be able to host me there, amazingly, I got a response within minutes from a girl right in the city. After meeting the man’s wife and talking with the family for a bit, the son walked me to the bus that scooted me right into the city proper. After some shuffling around I made it to Nina’s apartment, the girl who’d said she could host me. By night we headed into the center of the city where we watched an outdoor screening of a movie with some of her friends. We went just next door afterwards for beers, then headed to the river to drink a bit more, then to a bar right along the river. Nina ended up heading back home, insisting that I stay out with her friends and keep carrying on. We laughed into the night, buzzing along until I finally had to wander my way back to Nina’s late in the night. I had some coffee with Nina in the morning, then headed into the city on my own. The city itself was a museum, the building were all massive pieces of art, beautiful. I got myself a sausage filled with cheese and a marzen beer at a cart, wandering around and taking it all in. Towards the night I came back to Nina’s for a night of tasty beers, a great sandwich and some blueberry schnapps. 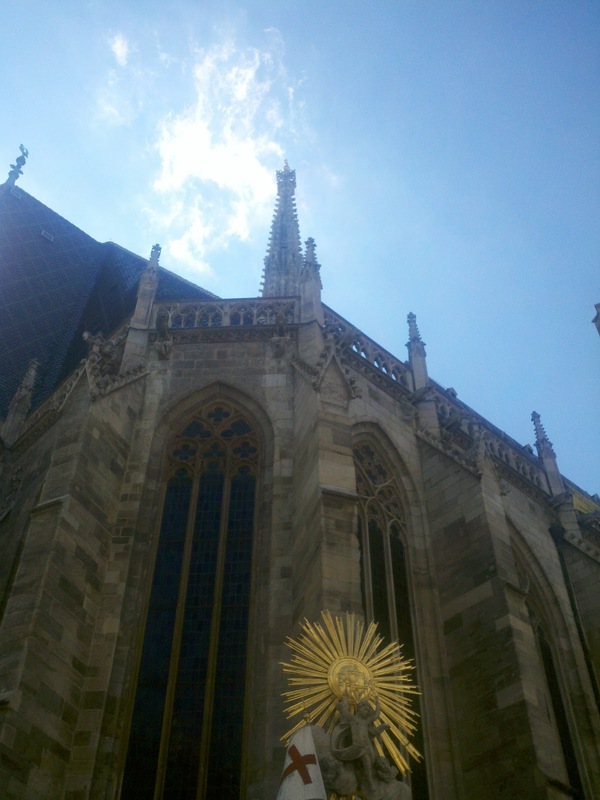 The morning would be for continuing on to Czech, but I’d certainly enjoyed the bonus stop in Vienna.